After your injury, find peace again. Owning a dog requires tremendous responsibility. This includes a responsibility to not just care for the animal, but also to protect others from the actions of that dog. Idaho law states that owners are responsible for the actions of their animals that result in any personal injury. A Nampa dog bite lawyer can help you to collect compensation following a dog attack. They can work to explain how the dog owner may be liable, to gather evidence concerning the attack, and to use that evidence to demand fair payments for your losses. There is no cost to speak to our attorneys to get advice on your case and understand your legal options. Contact us today to discuss your legal options for recovery with a friendly, trusted and experienced injury attorney at Skaug Law. Dog owners have a responsibility to control their pet’s behavior. Some owners may allow their animals to run wild and do not keep them properly restrained when out in public. Whenever these animals cause an injury to a person, the owner is responsible. Injuries can be caused by biting, being knocked down, or even being forced to run to escape an attack. 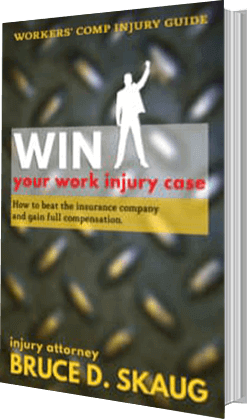 At-fault dog owners are required to provide compensation for all your losses. Even if the dog has no history of attacking another individual, you can still be able to pursue a claim against the dog owner. A Nampa dog bite lawyer can help you if you have suffered an injury caused by another person’s dog. Our dedicated personal injury attorneys can explain your legal options if you or a child have been bitten or injured due to a pet owner’s neglect. According to Idaho Statute §25-2810 (10), any owner or controller of a dog can be considered liable, regardless of the dog’s past, if their animal injures an individual. The animal owner may try to argue that you were partially responsible for the accident. They may argue that the plaintiff was taunting the animal, that the animal attacked in an attempt to defend its owner, and you were trespassing on their property. The statute states that dog owners are not liable for attacks against trespassers. Dog bites can inflict serious injuries. Even if these wounds fully heal, they may leave scars and require weeks or months of rehabilitation. Finally, dog injury cases do not solely include animal bites. For example, incidents that involved being knocked down, or even an injury that results from having to run from a charging dog may place liability on an owner. 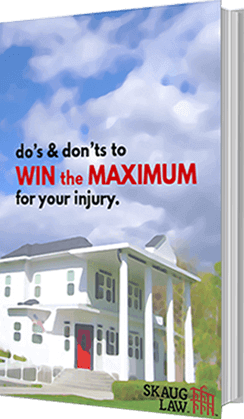 A Nampa dog bite lawyer can help plaintiffs to evaluate their injuries and demand appropriate compensation. 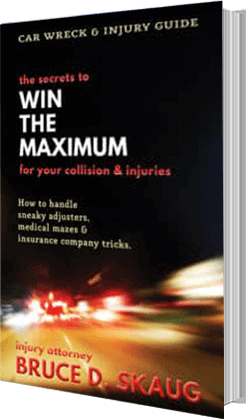 the maximum for your injury"
FREE Workers’ Comp Injury Guide"
Copyright © Skaug Law, P.C 2019. All rights reserved.